Changing the dimensions of your shapes can easily achieved in either of two ways. 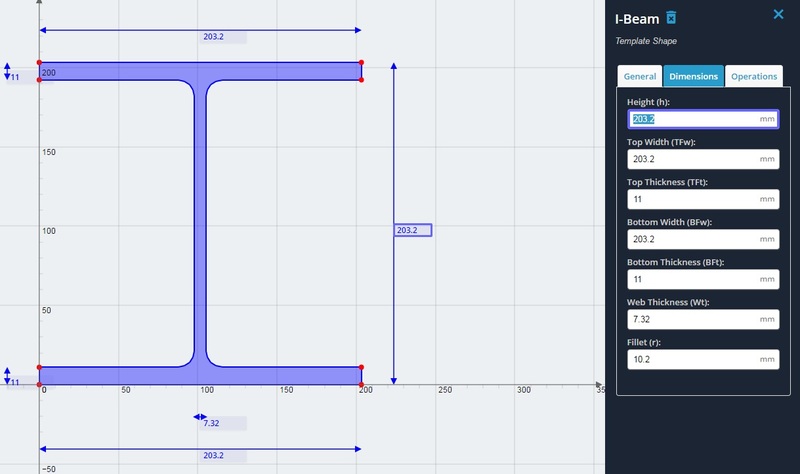 After you've added a shape, such as an I-beam onto the design area, you can click the shape to bring up its right menu. In the right menu, click the 'Dimensions' tab to bring up the form to change the dimensions of the shape. Note that as you click into each form field, a blue border surrounds the form field as well as the dimension line label. This handy feature lets you immediately know which dimension you're editing.